Feather Artist Club SS Razor. Feather Artist Club shaving razors are the result of combining expertise and superb technology with new materials. 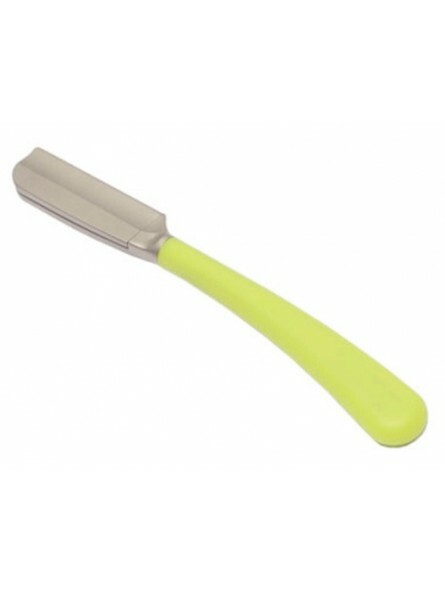 Feather Artist Club SS razors are made of new materials that offer outstanding resistance to heat and chemicals. This revolutionary razors can be sterilized simply by immersing in boiling water. The main body is made of high-class stainless steel. Well balanced "roundness" of the body tip and blade exposure makes this razor less damaging to the skin, achieving softer and smoother touch to skin. 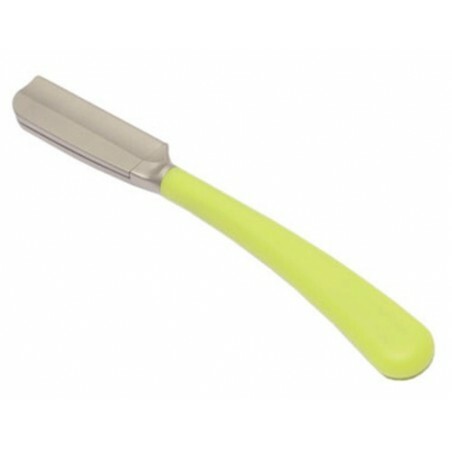 Japanese style lime color handle - Silicon resin handle that gently fits in hands. Easy blade replacement (razor deliver with instructions). Easy method of disassembling & assembling the razor (instructions included in the box).